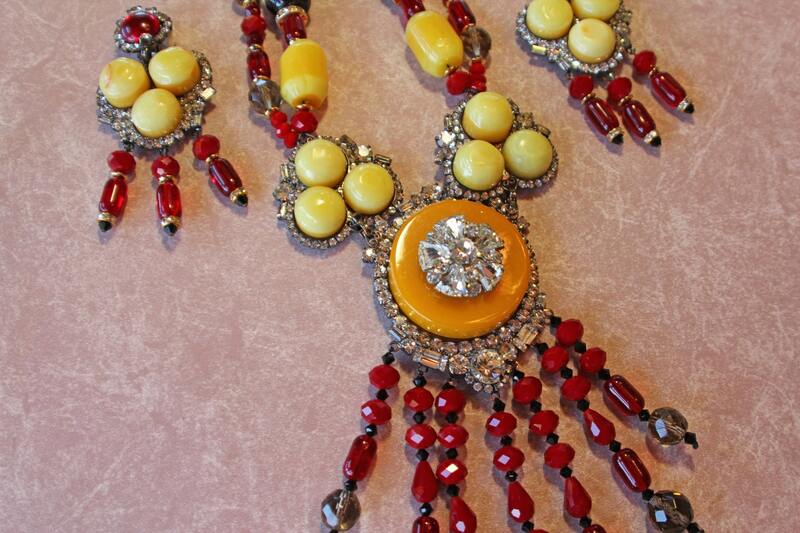 This is the first run of necklaces created exclusively for Bakelite Queen by Moan's Couture NYC. 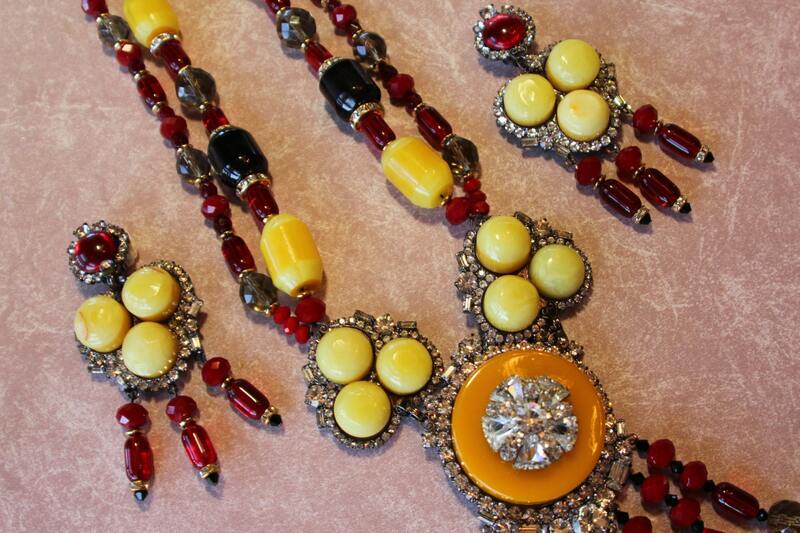 These are made using vintage Bakelite and handmade settings, hand strung beads all in a NYC studio. Each is one of a kind. 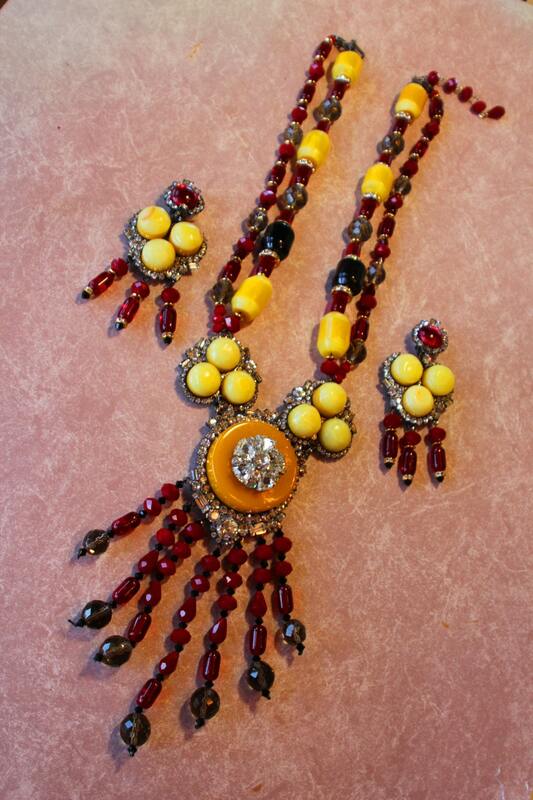 They are 19 inches long from clasp to tip, the neck opening is generously sized at an adjustable 22+ inches. 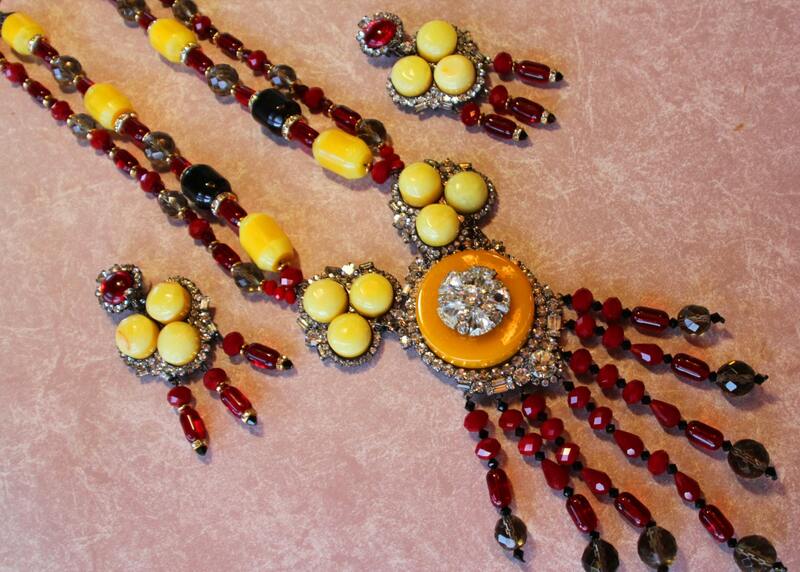 Gorgeous Butterscotch Bakelite centerpiece with beautiful citrine, red and black vintage faceted beads handmade butterscotch and black Bakelite beads, more red and black vintage beads, embellished with rhinestones. 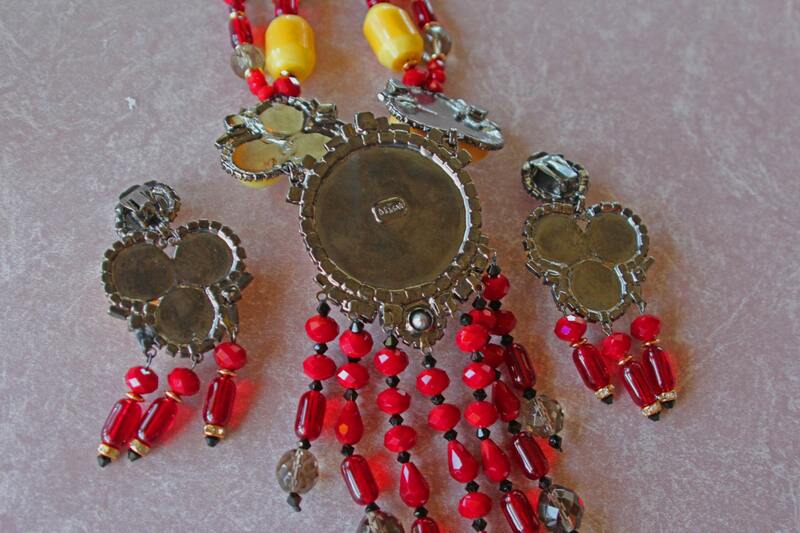 Photographs cannot even begin to display the scale and beauty of these incredible hand made pieces.